At The Roche Nursery Schools we follow the Montessori philosophy offering our children a respectful and stimulating learning environment giving them a positive experience to learning. We also follow the Early Years Foundation Stage which is a play-based framework and links well with our Montessori approach. The Montessori approach to education is set in the belief that children have an intrinsic desire to explore and learn about their environment. It is a holistic approach and aims to develop the whole child. 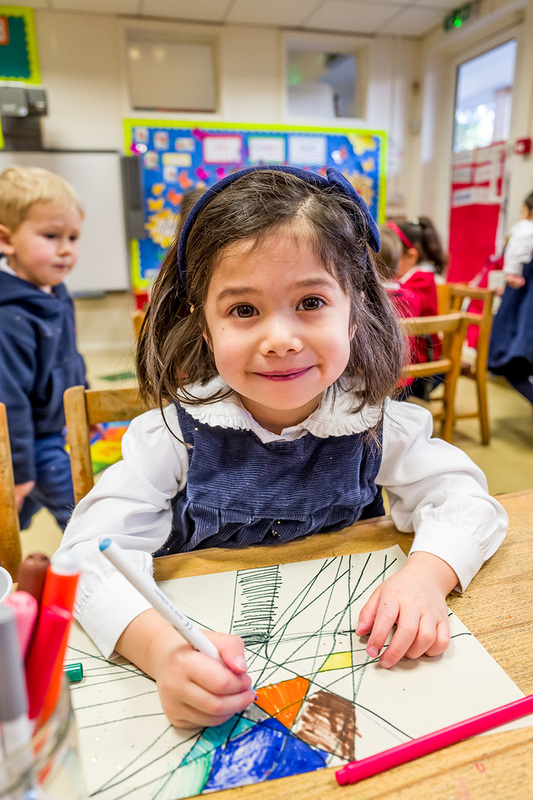 The Montessori environment is carefully and thoughtfully prepared allowing the children to act freely on their own initiative, meeting their individual needs through spontaneous activity. At The Roche Nursery we believe that each child is an unique individual and they should be encouraged to work at a pace that is right for them. The children work with specifically designed learning materials which foster independence and a love for learning. Each object highlights a particular skill or concept and are so beautifully set out that the children are enticed into exploring the activity. The children are led naturally from concrete to abstract with both simple and complex activities within their environment, learning through hands on experiences and investigation. The Montessori classrooms are carefully designed recognising the importance order and structure play in the children’s lives. Each piece of equipment and object therefore has its own place in the environment making it easy for a child to remember and recognise where objects are placed in relation to his/her classroom. The children work and play freely in this prepared environment and the sense of order helps them to feel safe and have the confidence to build on existing skills. The areas of the classroom are set out in areas of learning that reflect the Nursery’s broad and rich curriculum. The classroom is accessible with low level shelving allowing the children freedom to move and develop their full potential. LANGUAGE: The children move towards reading and writing through a variety of practical activities. The letters of the alphabet are taught so that their sounds and shapes are associated. The children are encouraged to combine the letters to sound out simple words. Mark-making is encouraged using a wide range of equipment. MATHEMATICS: The children are introduced to varied exercises in number recognition and they become familiar with common practical uses of numbers, groups and shapes by handling, looking at and talking about sets of simple objects. SENSORIAL: The children are encouraged to use their senses more fully and with discrimination. Relevant objects and materials help them to experience the concepts of volume, shape, size, touch, sound, texture and colour. PRACTICAL LIFE: Practical exercises deal with common activities such as polishing, folding, sorting and pouring and self-care tasks so as to encourage the children’s self-reliance and their care for their surroundings. NATURE, CULTURES, THE USE of COMPUTERS: The children are encouraged to look attentively at plants and animals and to consider the conditions in which they live. They learn about various human customs and cultures helped by a stimulating range of pictures and objects. The classrooms have computers which the children use in several ways such as matching and sorting, studying shapes and pictures, number games and word-building, thus improving their control of the mouse. Each classroom has easy access to an outdoor play area which thus promotes outdoor learning. MUSIC AND MOVEMENT: Dance, singing and percussion are important parts of the week’s activities. A range of musical instruments is introduced and the children are encouraged to express themselves through singing, drama and role-play. 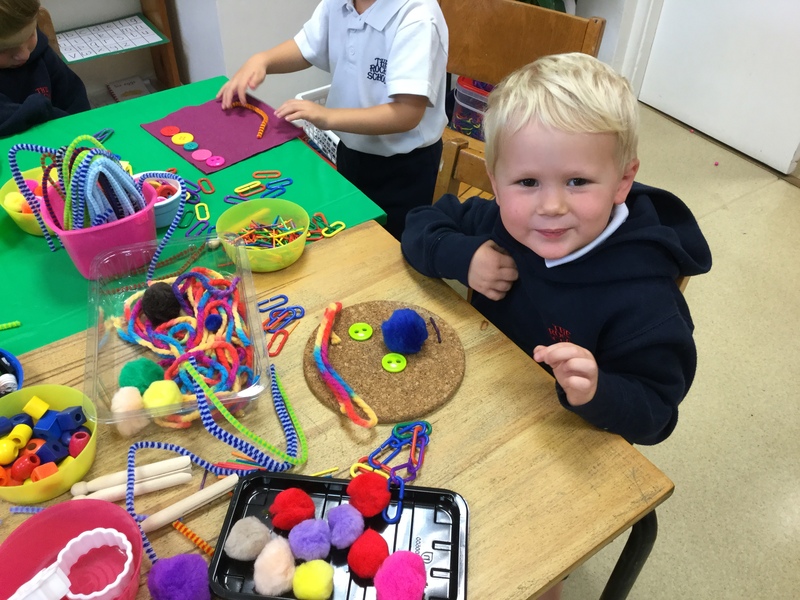 ART AND CRAFT: The children work on one main project per term and this offers them opportunities to experiment with a variety of mediums such as paints, chalk, modelling clay and other materials.